PÁdraig Harrington is ranked 268th in the world and seeking a first win since 2016, but believes he should still be among the favourites for a second Dubai Duty Free Irish Open title. Defending champion Jon Rahm and four-time major winner Rory McIlroy are the 7/1 joint favourites to win the fourth Rolex Series event of the season at Ballyliffin, which boasts a prize fund of €6million and a first prize of €1m. 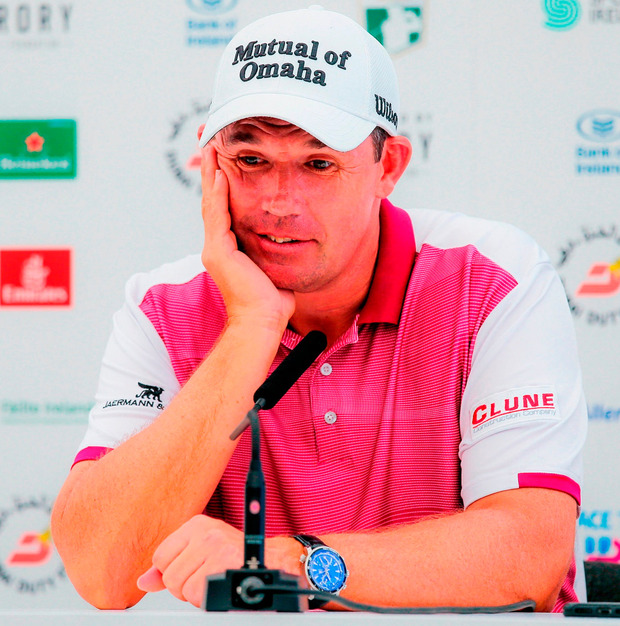 “I tell you what, the bookies don’t normally get it wrong but they priced me up like we were playing a parkland course,” said Harrington, who won the Irish Open in 2007, two months before claiming his first major title in the Open Championship at Carnoustie. “It’s not like I’m looking for everything to be fixed,” Harrington added. “There’s one or two little things going wrong and they can click into place at any time. “When you’re at home on a golf course like this, it’s a lot easier for those things to fall into place.